In the world of brooding female songwriters, New Jersey native Nicole Atkins has managed to stake a claim to a good chunk of real estate. On February 4th she'll do more than that as she releases, Slow Phaser, easily her best album to date. Right from the start Atkins demonstrates that this is a more varied and interesting record than what we've got from her in the past. It's the stylish, sultry and ominous "Who Killed the Moonlight?" that sets the tone. An almost Luscious Jackson-esque dance groove kicks in on "Girl You Look Amazing". A jazz shuffle, delivered by upright bass and brushed drums, makes "We Wait Too Long" a shadowy standout. Atkins' storytelling has never been better either. The relationship battle depicted in "Red Ropes" is vivid and culminates with breathtaking backing vocals. "The Worst Hangover" is made compelling by intricate layers and complex dynamics. The unconventional hook of "Sin Song" meshes with a set of lyrics that will sear themselves onto your brain to come up with the year's first 5-star song (on my iTunes anyway). The teetering back-and-forth multi-voice pop of "It's Only Chemistry" is a more traditional version of catchy. There are a handful of tracks that give us the Atkins sound that we've grown accustomed to. Foremost of those is "What Do You Know?". Even songs in that vein can have their characteristics amplified, as on the idiosyncratic "Cool People". 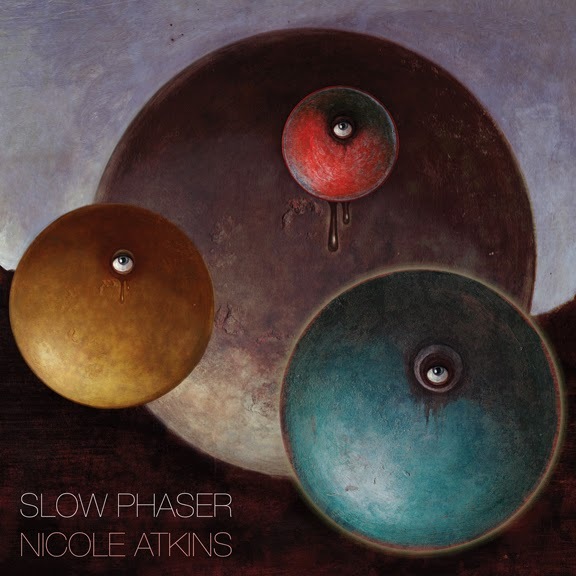 I'm reluctant to fling the phrase 'masterpiece' around, but in Slow Phaser, Nicole Atkins at the very least has released the crown jewel of her career. Nicole Atkins plays the Horseshoe Tavern in Toronto on February 18th. Best tracks: "Who Killed the Moonlight? ", "Sin Song"